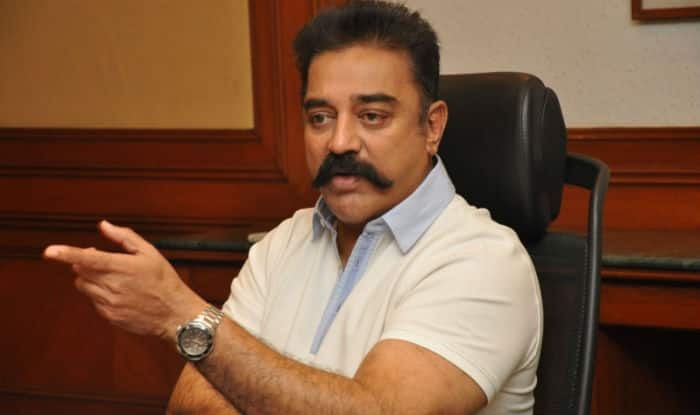 Actor turned politician Kamal Hassan on Sunday said he will not contest the upcoming Lok Sabha elections and instead work for the success of his party- Makkal Needhi Maiam. Coimbatore/New Delhi: Actor turned politician Kamal Hassan on Sunday avowed that he would not contest the upcoming Lok Sabha elections or the Assembly bypolls but only work towards the ‘success of his party candidates’. According to a report in The Indian Express, Hassan also announced that his party Makkal Needhi Maiam’s manifesto (MNM) promises 50 lakh jobs, equal pay for women and 100 per cent profit for farmers among seven other pledges. Doctors, advocates, a former IPS officer, a retired district judge, and businessmen figure among the candidates fielded by Kamal Haasan’s MNM from Lok Sabha seats in Tamil Nadu and Puducherry. Releasing the list of 21 candidates and their constituencies, the actor-turned-politician said the second list will be released on March 24. The party is expected to roll out its manifesto and second list of candidates on Sunday. On Tuesday, the MNM announced electoral tie up with Republican Party of India and allotted one Lok Sabha seat and three seats in the assembly by-elections to be held on April 18. Retired Indian Police Service officer A.G. Mourya will contest from Chennai North while former District Judge K. Guruviah will contest from Nagapattinam. Doctors M.A.S. Subramanian, S. Sudhakar and M. Logarangan will contest from Puducherry, Dindigul and Tiruvallur constituencies, respectively. Earlier last month, Makkal Needhi Maiam (MNM) had said that they will not align with Dravidian parties in the Lok Sabha polls. Speaking to reporters in Coimbatore, Hassan had claimed that his party will contest all the 39 Lok Sabha constituencies in Tamil Nadu. He added that by not aligning with the Dravidian parties, the MNM is keeping its “hands clean”.